Vinyl, streaming, download, etc. at smarturl.it/absent-forever Absent Forever is the newest album from London-based producer Plastic Flowers - his third full-length LP and the second for The Native Sound after Heavenly. Plastic Flowers formed vaguely around 2011 in Thessaloniki, Greece and play a noisy version of Dream Pop filed under Shoegaze, Ambient and Indie. Much like his previous releases on labels such as Crash Symbols, Inner Ear Records or Bad Panda, this new album artfully slips intelligence and experimentation into a dying art form. Recordings were completed in less than three months in 2017 and the album comprises of ten tracks that have been around George’s hard drive in demo form since early 2013. 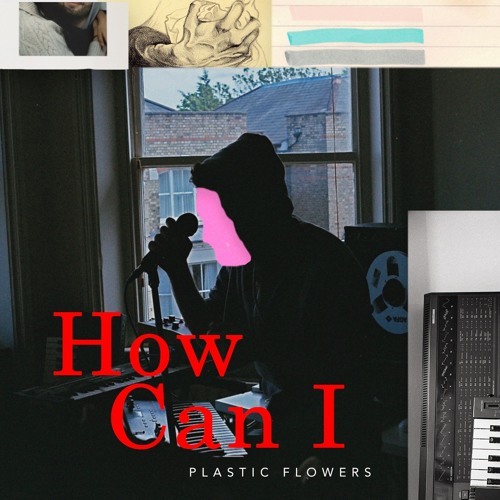 For this record Plastic Flowers recorded himself onto tape in different DIY spaces around London, including a friend’s old house in Hampstead and his small home studio. While dealing with massive academic workload and stress for his PhD, he managed to completely reshape Plastic Flowers’ sound with a new record that captures the analog aesthetics and the warm sound of the tape. As part of the creative process, he collaborated with a string quartet and his ex bandmate Angelos who assisted in the recordings. Absent Forever finds Plastic Flowers hopeful and heavy, a new direction for those familiar with his music. It still possess the pensive and melancholy undertones taken of Heavenly, but they take different forms and themes. There are different ways to find growth and constructiveness through the times and situations that are labelled as negative, but through this album Samaras explores themes of personal flaws and downfalls that changed his life and helped him complete Absent Forever. Absent Forever is out November 10th on vinyl and digitally via The Native Sound. Very Slowdive-y guitar here. Reminds me of NMT!